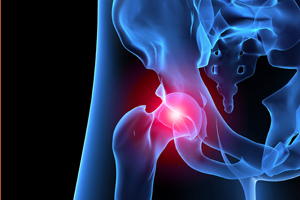 DePuy’s BMJ fray: Is the hip maker showing its hand ahead of jury trials? | MassDevice – Medical Device Industry News. The contentious fracas between DePuy and a researcher over a study published in the British Medical Journal may be a preview of the company’s arguments in court. The quarrel between hip implant maker DePuy and researcher Deborah Cohen may be more than an academic altercation playing out in the pages of the esteemed British Medical Journal – it may be a preview of things to come. The arguments laid out by DePuy spokesmen Graham Isaac and Simon Sinclair may represent the company testing the water for its upcoming defense of its metal-on-metal hip implants. “This response serves as a preview of the defenses J&J will raise in the DePuy Pinnacle lawsuits and reiterates points they have already raised in the DePuy ASR lawsuits,” Felecia Stern, partner at the law firm of Bernstein Liebhard LLP, told MassDevice.com. DePuy has been the subject of class action and multi-district lawsuits, public outcry and FDA scrutiny since the company launched a recall of a pair of metal-on-metal ASR hip implants in August 2010. A multi-district lawsuit combining more than 1,100 hip replacement lawsuit for DePuy’s Pinnacle is underway in the U.S. District Court for the Northern District of Texas. The 1st of the ASR implant lawsuits should begin jury trials later this year. “What I found most interesting was the fact that the authors claim that Depuy ‘monitors closely data related to Ultamet MoM implants’ (used with the Pinnacle system) yet they were silent on whether DePuy had monitored data concerning the ASR,” Stern noted. Her law firm has filed lawsuits on behalf of patients claiming injury against both the Pinnacle and ASR hip implants. “DePuy monitors closely data related to Ultamet MoM implants from many sources, including published and unpublished data from national joint registries, published papers, company sponsored clinical trials, and internal complaint data,” the company wrote. A study published in February, led by Deborah Cohen, argued that “hundreds of thousands of patients around the world may have been exposed to toxic substances after being implanted with poorly regulated and potentially dangerous hip devices.” The report spurred a contentious back-and-forth, in print, between a pair of DePuy spokesmen and the study’s main author – a rare move for a company with pending litigation on the matter. Cohen was particularly vehement about a perceived lack of clinical testing for the devices, given that both sets of writers agreed that the issue of potentially toxic compounds making their way into patients bodies had been researched for decades. In a response published this week, mostly reiterating comments submitted on the original study, the DePuy writers rebuffed the notion that DePuy had concealed MoM erosion risks – an allegation Cohen later denied making. The company added that all hip implants wear, and that the latest generation of MoM hips were a response to erosion concerned raise about polyethylene hips. DePuy did not respond to requests for comment.